As technology grows and grows on a daily basis, it’s no wonder that kids are constantly fixated on their cell phone, tablet, laptop, or TV screens around the clock. Oftentimes days can go by without children even considering any other activity to engage in other than stare away at their electronic devices. Nowadays, when kids or teenagers hang out with friends it is mostly dominated by texting, or if in person, sitting together while looking at each others own screen, leaving little room for face to face interaction. Fun activities for your kids are slowly being substituted by screens. Too much screen time can have many adverse effects on a child; one of which is sleep deprivation. Studies show that when kids view screens for too long at night, the light can affect sleep patterns. They also may suffer from attention problems, and could even develop social media or video game addictions later on. It may be a challenging habit to break fun activities for your kids, but as a parent, know that you have the ability to take back control and succeed in providing and encouraging your child with alternative activities to screen time, rather than just taking away their phones and video games. There are tons of different activities that your child is sure to enjoy more than being buried in a screen all day. Here are seven different fun activities for your kids to engage in that are fun enough to take them away from their devices for a while. Most children enjoy playing at least one sport, so if your child already loves playing a sport, perhaps encourage them to be even more active. If their time spent playing video games or texting on their phone outweighs the amount of time they are playing games, with their friends, or practicing, it is definitely worth encouraging them to keep improving at their sport. This is a great way to keep them focused on healthy and fun activities for your kids rather than allowing them to spend as much time on their electronic devices as possible. If your child isn’t that into sports of their own interest, signing them up for little league or youth basketball/soccer wouldn’t be a bad idea. They will have the opportunity to try something new and perhaps adopt a new hobby or liking for sports more than they do spending hours on their screens. If your child isn’t too into sports as much as their friends might be, a good way to take them away from their screen, kindle their imagination, and sharpen their reading skills is to encourage them to read books. Whether it be fiction, non-fiction, fantasy, or any sort of novel, reading is the old fashioned way of entertainment. Tell your child to step aside from their computer and phone and begin reading. Take them to the library. Buy them books for holiday gifts or their birthdays. Sit down and read to them or with them. Making an effort to get your kids reading will pay remarkable dividends for them in their school lives and their growing intelligence. Looking too closely at an electronic device can strain the eyes. Looking too closely at a book will only provide for greater learning and development as a person. Before you know it, your child may have turned away from their phones entirely and instead choose a good book over a good video game! Simply getting some fresh air outside can be enough to get your child away from their electronic screens. For one, or a few days a week, take your kid on a walk in the neighborhood or through the woods. Give them a chore to walk the dog and take him to the park every day. Go on hikes or other outdoor adventures with your son or daughter. Even just going outside for a little while can greatly benefit your child with some exercise and peace of mind away from just a phone, laptop or TV screen. The possibilities of fun activities for your kids are endless when they go outside, and stay outside long enough to distract them from sitting around staring at a screen. Before you know it, they may appreciate being outside more often than they ever would have had you not “kicked them out”! Another great outdoor activity a parent can do alongside their child is gardening. Though it may involve you training them on how to dig proper holes, plant seeds, trim weeds, etc., you may be surprised if they decide to take up a gardening hobby! 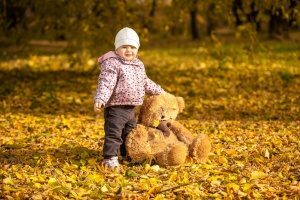 It may seem strange, but kids who bond with parents doing yard work at a young age are not as upset with cutting the grass or raking leaves later on when they grow up. Gardening not only gets them outside and away from their phones, but it also offers valuable lessons on how to care for plants and will teach them a new skill they’ve never considered learning on their own. And remember how hard it would be for your child to keep their electronic devices’ screen clean and clear when they are getting down and dirty in a garden! Yet another outdoor activity that can take your child away from their screens is to enroll them in volunteer work programs. While this idea may seem very odd to enroll your child in commitments they may not particularly care about or understand, it can actually be an exciting way of introducing them to something they may one day truly enjoy and find meaning in their involvement.This can be an especially fun “screen-free” activity with either you as a parent, or with your child’s peers in youth-volunteer groups that enroll kids the same age as yours. Groups like these can even lead your child to developing strong friendships with those around them. Consider taking your kid to a few community centers or county recreation centers to get them signed up. Volunteer projects will keep them engaged in community service work and provide a great environment for their growth and development as people, instead of being chained to a boring screen. A classic indoor activity that will take your child away from their screen and offer them opportunities for hours of fun are board games. Though cell phones and video game systems do have classic board games that can be played electronically, anyone will tell you that playing them live in person with friends and family is thousands of times more fun than on-screen online. Video games may seem more appealing, but having a family game night a few nights a week can be the perfect opportunity to keep your child’s head in the game and away from their electronic screens. Fun activities for your kids such as board games are not only great ways to take your kid away from their screen, but can also be a perfect time for you to get off of your phone too! One option to consider is enrolling your child in either an academic or non-academic class outside of school, or hiring them a tutor. Doing so is a great opportunity for them to advance their learning, reading, and writing skills and help their developing intelligence enormously. Your child may groan and resist, but added academic help will highly benefit them in the long run. Choosing a different class other than one that is academically focused will also benefit your child enormously. Classes with challenging fun activities for your kids like cooking lessons, swimming lessons, or art classes will take your children away from their screens and get them more involved in learning and developing skills – skills which they may one day turn into passions and perhaps eventual careers! Extracurricular classes can actually be a solution to your child’s fatigue of a long day. Though they may normally come home tired and lazy and feel justified spending hours in front of a screen, an extracurricular class can boost their energy and stimulate their mind better than any exciting tv show, video game, or messenger conversation ever could!